Richard Pitino entered Year 6 as Gophers men’s basketball coach with zero NCAA tournament victories, a Big Ten career record well below .500 and whispers (maybe louder than that) that his job could be in jeopardy while coaching under an athletic director who didn’t hire him. 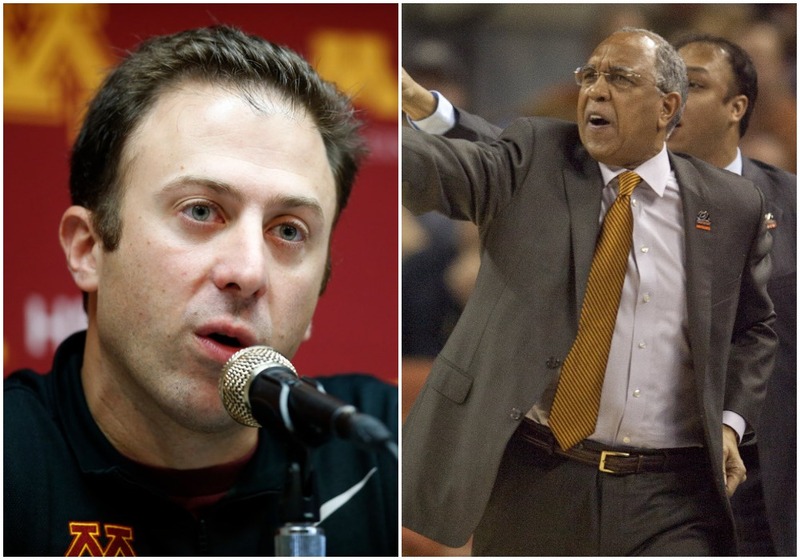 If that scenario sounds familiar it’s because it is very similar to the tenure of Pitino’s predecessor at Minnesota, Tubby Smith. Smith’s time at Minnesota ended abruptly after that sixth season in 2012-13 — when he led the 11th-seeded Gophers to an upset of UCLA in the NCAA tournament before bowing out against Florida and then fired by then-athletic director Norwood Teague. Smith’s tourney win was the Gophers’ first official NCAA victory since 1990 and their first on the court since the (vacated) Final Four run in 1997. No matter. Teague decided he had seen enough and wanted his own guy. A winding search led to Pitino, who was 30 years old and had just one year of head coaching experience at the time. And yet there’s a sense that Pitino has his team on a greater upward trajectory at this point than Smith did. There are reasons for that, which is where the scripts for the two coaches perhaps deviate. With Smith, there was a sense that his tenure had peaked — that winning one NCAA tournament game was about as good as it was going to get and that the energy (or talent) for more just wasn’t there. Maybe that doesn’t entirely justify Teague’s decision six years ago to fire Smith and pay him a $2.5 million buyout — shouldn’t the Gophers be happy to be in the tournament and win a game? — but it makes sense if you aspire to be better than average. Pitino won an NIT title in his first year with a lot of Tubby’s old players after narrowly missing the NCAA field. From there, we saw a process of bottoming out before building back up after Mark Coyle arrived as athletic director — a regrouping that has yielded two NCAA berths in the last three years, with a disappointing 15-17 season a year ago sandwiched between. More importantly, there is a sense that Pitino might get the Gophers beyond a point where they’re happy to win a game. It might not be this season, but you can imagine an Amir Coffey-led group being dangerous next season, especially if Eric Curry stays healthy. You can picture Gabe Kalscheur — 24 points in his tourney debut as a freshman Thursday, a game in which he and his entire team played wonderfully while Pitino’s game plan shined — being a four-year starter and keying an NCAA run or two. It might not happen, but it feels more likely to happen than it did six years ago. That’s the biggest difference between the two coaches with very similar resumes at this point in their Gophers careers.